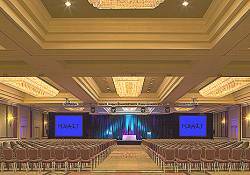 The 40th annual Precise Time and Time Interval (PTTI) Systems and Applications Meeting will take place at the Hyatt Regency Hotel, at Reston Town Center, just outside of Washington, DC. The conference focuses on preciste time and frequency technology and its challenges. Tutorials take place on December 1. Topics include quality assurance, traceability and setting up a timing system, Loran and eLoran, missile tracking with GPS translators, GNSS, and measurement methods. The conference is sponsored by the U.S. Naval Observatory U.S. Naval Research Laboratory, NASA Jet Propulsion Laboratory Defense Information Systems Agency , and the U.S. Coast Guard. For registration information, contact Nikki Jardine at the phone number or email address below.